The editors of Saveur—the ultimate food magazine—have applied their magic touch to a series of cookbooks. Saveur Cooks Authentic American takes readers on a cross-country culinary tour to visit America’s kitchens. The writing is captivating and informative, the recipes flawless, and the images of food, people and places perfectly conveyed with stunning photographs of finished dishes, people and places, as well as B&W period photographs (400 photos in all). This gorgeous book is the first in a series that also includes titles on French and Italian cooking. The editors at Saveur have a real knack is for going straight to the source and getting to the heart of a cuisine through their profiles and real-life stories of the real people that put food on the table—farmers, professional chefs, and home cooks alike. An excellent cross-section of the diversity of American cuisine, the 150 recipes showcase such traditional regional favorites as Down-East Baked Beans, Carter Rochelle’s Real Texas Chile, The Mint Julep, and Seafood Gumbo, to American standards such as Pumpkin Pie, Roast Chicken, and Onion Rings, with a few surprises thrown in—Morel Omelettes, Carne Picada Burritos, and Pumpkin Walnut Cake with Candied Oranges. 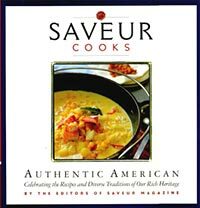 Saveur Cooks Authentic American does double-duty as an absolutely stunning, highly-readable coffee-table book. 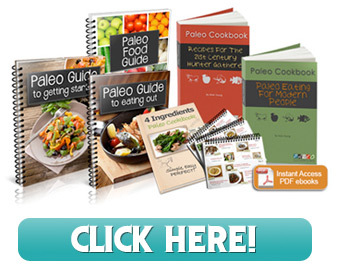 It’s a cookbook full of appealing, heartwarming, and familiar dishes that inspire one to crank up the stove! Very nice book, great quality all around. Too bad these Saveur books went out of print!? Cheers, Michelle.